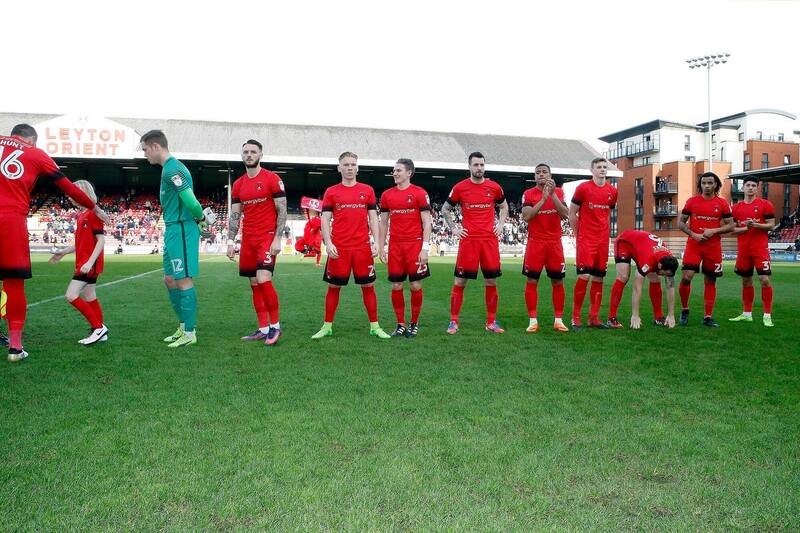 Leyton Orient suffered yet another huge blow today as Danny Webb resigned his position as the O’s manager. In what has been a horrendous season Webb was in charge for only two months and won just two matches in that period of time. He has been replaced by Omer Riza, the former Arsenal starlet who has been named the manager of a club in dire crisis until the end of the season. Riza has been promoted from assistant manager for the leagues bottom placed club after Danny Webb handed in his resignation after just nine weeks in the Brisbane Road hot seat. With only those two wins in 12 games in charge 33-year-old Webb who once played for Marsaloxx in Malta has left his post with immediate effect along with goalkeeper coach Martin Brennan. Omer Riza is a former West Ham youth player, who made one League Cup appearance for the Gunners. Incredibly he will be the fifth manager to take charge of Orient this season and tenth manager in less than three years. Unbelievable to think Leyton Orient were in the Division One play offs as recently as 3 years ago. Riza played in the Football League with Barnet, Cambridge United, Shrewsbury and Aldershot which is fair enough, but his only management experience has been at non-league Cheshunt, not exactly the perfect credentials for providing a miracle in the remaining 7 games of the season and keeping Orient in the league following 136 years since the O’s were formed. The news of his Webb’s resignation comes just weeks after a winding-up petition against the club was adjourned until June to give the owner more time to pay off outstanding debts. Danny Webb was initially meant to be hired as first-team manager last summer but was made Andy Edwards’ assistant following a managerial change in November but Webb was given the role in January after Edwards took up a coaching role in the Football Association. It seems Edwards was the one to get the best deal there. Orient were on the brink of promotion to the Championship in the 2014 season but suffered a heart breaking penalty shoot-out defeat to Rotherham in the League One play-off final. The club’s status in the Football League now looks slim with as mentioned just seven games remaining. The O’s are currently seven points adrift at the bottom of League Two and look out for the count. All eyes will be on the club’s Italian owner Francesco Becchetti. Since he took over from Barry Hearn with promise after promise from the Italian, the club have taken a very slippery path to the bottom of the league. News of the 33-year-old’s departure comes 10 days after a winding up petition against the club was adjourned until 12 June to give the owner more time to settle outstanding debts and possibly sell the club. Becchetti has said he would be interested in selling up but no deal has yet been secured. Webb stepped up from his youth-team coaching role in late January and given the task of keeping a thin squad in the Football League. But Orient’s young and inexperienced side have not looked capable of winning and Webb had talked of his frustration at the uncertainty off the pitch. The Leyton Orient Fans Trust said Webb’s departure demonstrated “that there is no leadership at the football club”.